With over 11 years of experience, Sneez specializes in fine line black and gray style tattoos. Sneez got started in art at a very young age and never looked back. 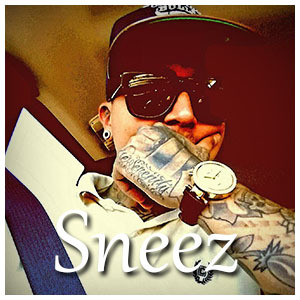 Sneez enjoys spending time with his family and always enjoys working on his art. His inspiration and goal in life is to just keep pushing to be the best he can be.